I would like to read a poem about juvenile diabetes. 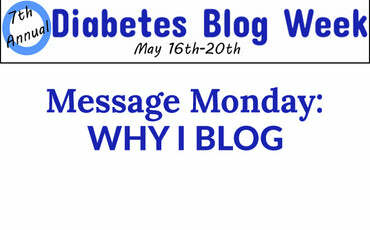 I have had diabetes since I was four years old and now I am fifteen. I wrote this poem about my disease and what it will be like for me when the cure is found. 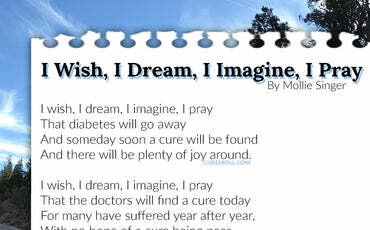 I started this poem by writing down many of the thoughts that have gone through my head regarding diabetes. I’m a very optimistic person, so I intentionally wrote “I wish, I dream, I imagine, I pray” to show what I think the future will be like once the cure is found. 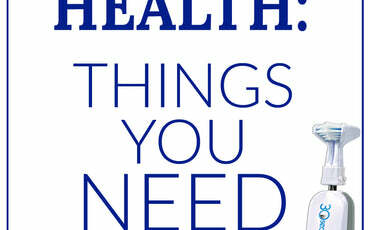 Diabetes causes diabetics like me to have good days and bad days. Most of the time, I am in control of my disease, but there are times when the disease gets the better of me and I feel like I just want to cry myself to sleep. I understand that most people don’t know and probably don’t want to know the truth of how difficult it is to live with this disease and the toll diabetes takes on a diabetic’s body, it is too depressing. For this reason, I feel it is important to write about how diabetics remain positive, rather than dwell on the negativity in their lives. Diabetics accomplish this goal and see the blue sky thought the dark clouds by focusing on their future, which of course includes the day juvenile diabetes, is finally cured. The poem is called, “I wish, I dream, I imagine, I pray” because this is what I do every morning of every day. I really do wish, dream, imagine, and pray. I pray every morning when I wake up and every night before I go to sleep, “God, please help the researchers find the cure for diabetes and every other disease. Alleviate the pain and suffering that those of us living with chronic diseases endure and replace it with joy and peace.” This poem reveals my wish for a miracle, as a dream about the day the cure will be found and I imagine my uncontainable excitement as the phone rings and I hear, “Mollie, they’ve cured diabetes!” Those words will make me and every other diabetic the happiest people in the world and millions of us will excitedly shed tears of joy, tears of relief, and above all, tears of gratitude! And there will be plenty of joy around. With no hope of a cure being near. A cure will be found today.